The Unite Housing Workers Branch is run by an active group of members and representatives who themselves work across the housing sector, primarily in housing associations. We put organising at the forefront of our activities, supporting representatives to build an active presence in the workplace. Please join us and become part of a dynamic branch that is improving the pay, terms and conditions of members in the housing sector. Subscription rates Unite offers a range of membership categories so that you can pic the one which best suits your circumstances. Member services Unite offers a wide range of services to members, from representation through representatives in the workplace and free legal advice to consumer benefits such as reduced rates on mortgages and insurance. Unite affiliated services Unite is in partnership with a range of affiliated providers offering discounts with financial, health, travel and retail partners. Unite 4 jobs The Career Portal proactively monitors employers websites for available opportunities. Community member benefits Information on welfare reform and a range of services to those who are not in workplaces. Retired Member Plus Retired Member Plus is a package of benefits for our members in retirement that are second to none across the whole trade union movement. 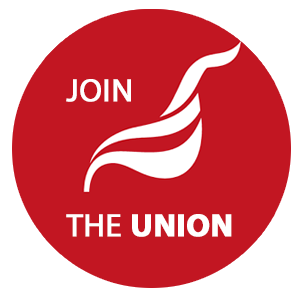 Unite merchandise Shop for a range of items that can be used to promote the union in your workplace. Esher Place Since opening in the spring of 1953 many thousands of members have attended residential courses and meetings in this fine mansion house. Modeled on a French chateau, the house sits in eight acres of tended grounds just to the south west of London and is used by Unite for training events and activities but can also be booked for short breaks. Eastbourne Centre The Eastbourne hotel can be booked at discount rates by Unite members. Recently refurbished to the highest standard, most of the stunning bedrooms in the hotel have a private balcony. The restaurant offers stunning elevated views over the English Channel along with a traditional menu, with something to suit all tastes. Benevolent Fund The Unite the union Benevolent Fund is the benevolent fund for Unite the union members and employees and their immediate dependants. The website provides an application form, guidance and details on who can apply. By Post: Click here to open the application form. Send your completed form to Nicky Marcus, Regional Officer, Unite Housing Workers Branch (LE1111), Unite the Union, 128 Theobalds Road, WC1X 8TN. Online: Click here to join direct.